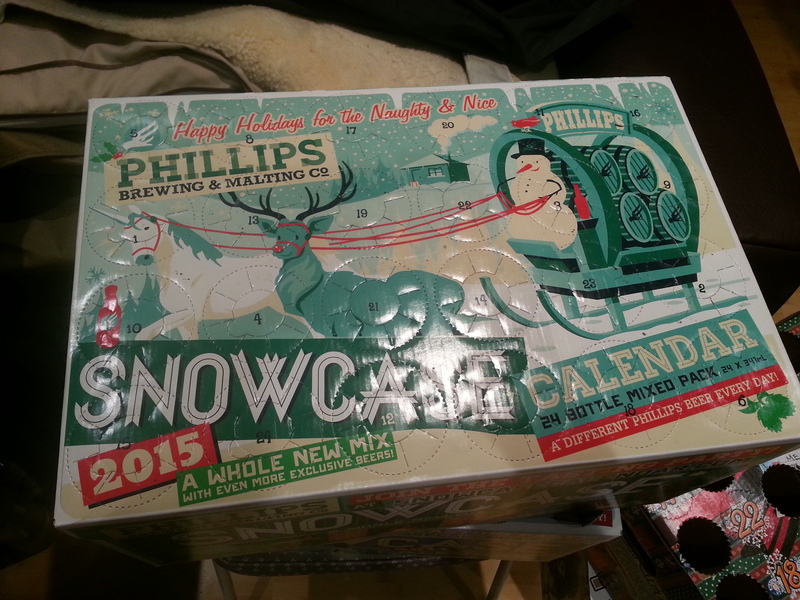 Phillips Snowcase 2015 Calendar Day #1 – Anxiety Ale | Justintoxicated. -2015 is nearing its end and 2016 is just around the corner. 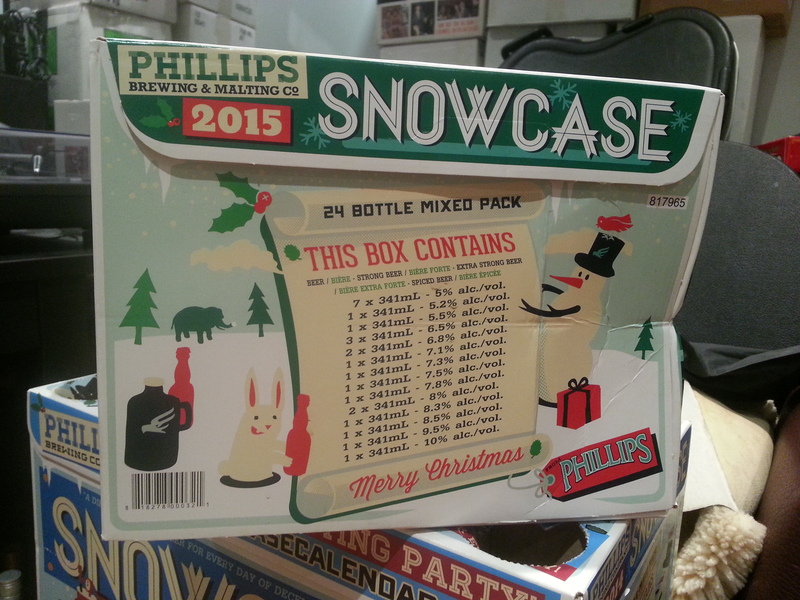 This time of year brings 2 annual beer calendars to Beautiful British Columbia, one of which is Victoria’s Phillips Snowcase. 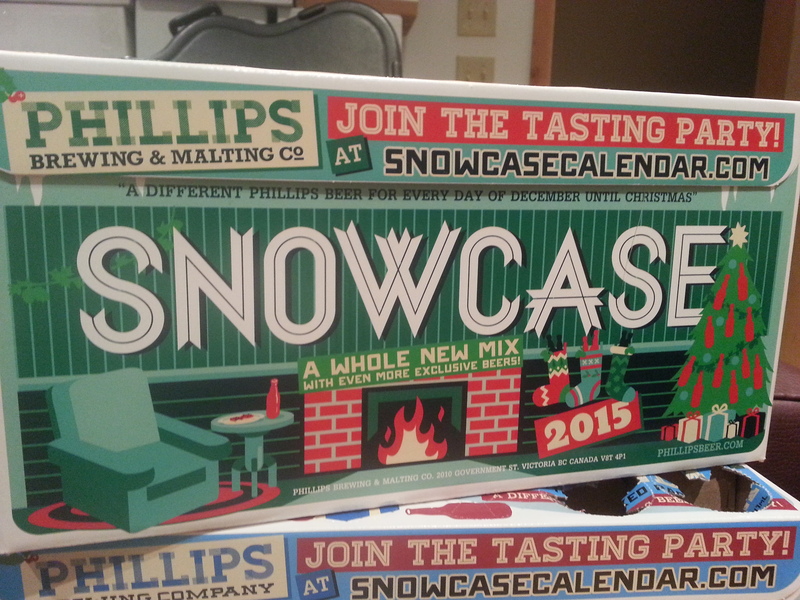 Last year I failed to finish the 2014 calendar tasting due to other… tasting commitments, but this year will be different, I promise! 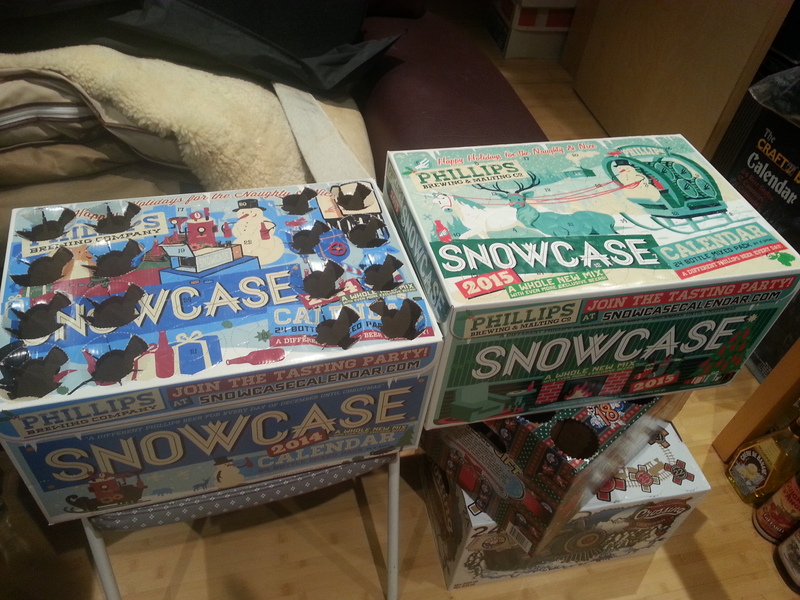 Also it’ll be easier this year since they only have so many new brews to include in the box. Without further ado, let’s kick off 2015’s close and welcome the New Year! Visual: Pours clear reddish orange, barely any head, ringed retention, lots and lots of very fast steady streams. 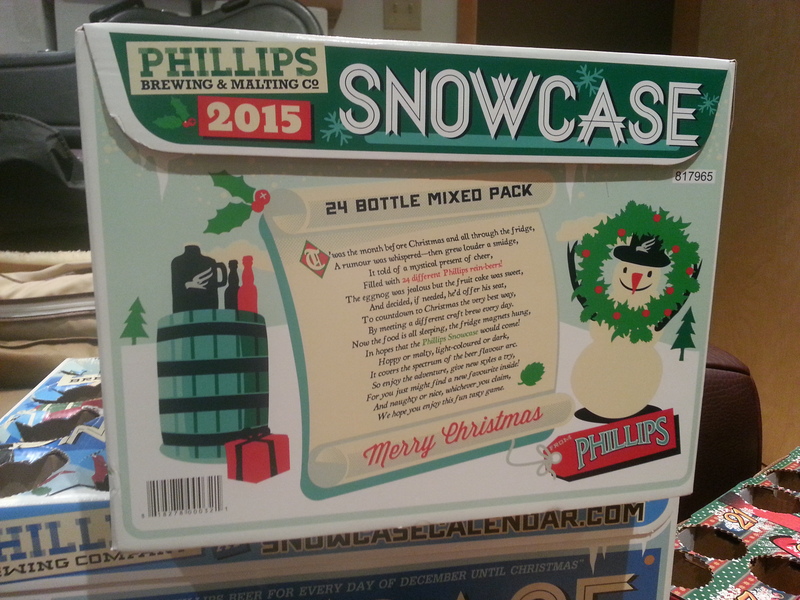 Finish: lingering malt, mild palate rough finish. Summary: Is this really and 8%’er?? ABV is undeniably well hidden from start to finish, drinks more like a 5%. Beetroot is there in the mids but it doesn’t elevate the beer profile. Coincidentally I’ve been eating air-fried beets for the past couple of days and I can surely identify its presence in this brew. Overall just an average drinkable beer, though not very inspiring being the 1st of 24.